View the recording of the AMAZING (and news breaking!) 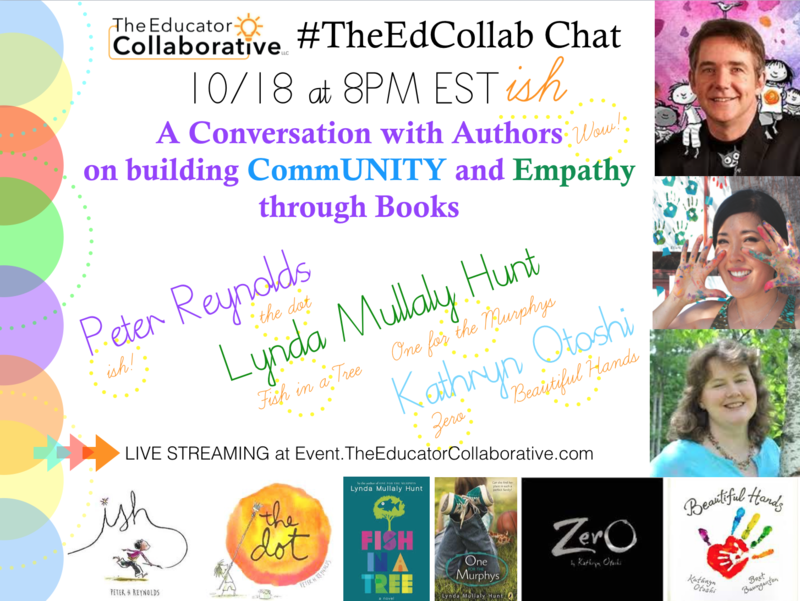 live #TheEdCollab Author Chat with Peter Reynolds, Lynda Mullaly Hunt and Kathryn Otoshi in conversation with JoEllen McCarthy, our Book Ambassador. These awesome authors talked together and responded to tweeted questions. They talked about inspiration, empathy, the role of books in building community... and EACH author shared BIG NEWS! First public samples of their newest projects! 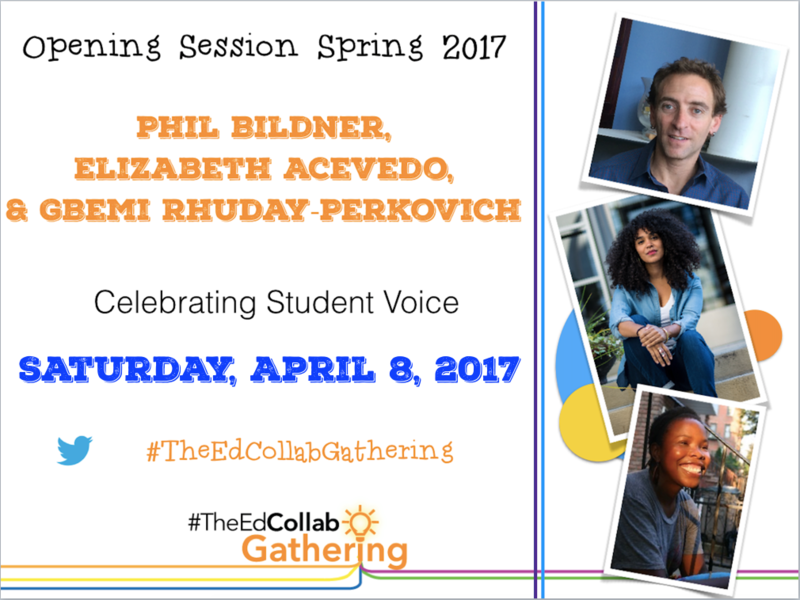 Invite your edufriends to tune in! Watch the Session Recording HERE! Click Full Screen to view larger player. Special Thanks to Tech Team All Star Ryan Dunbar for support in streaming tonight’s session! Peter Reynolds is a New York Times best-selling children's book author illustrator (Judy Moody, The Dot, Ish, Sky Color, Someday). In 1996, he founded FableVision as a social change agency to help move the world to a better place by creating "stories that matter, stories that move." Lynda Mullaly Hunt is author of Fish In A Tree and One for the Murphys. She’s a former teacher, and holds writers retreats for the Society of Children’s Book Writers and Illustrators. She lives in Connecticut with her husband, two children, impetuous beagle, and beagle-loathing cat. Kathryn Otoshi is a multi-award winning author, illustrator and speaker, best known for her character-building and number/color book series: Zero, One and Two. She goes across the country to encourage kids to develop strong character assets. More Author Power with TheEdCollab! Something went wrong... Try Again?